The diameter of this table is 160 cm. The table top is made from form ‘ARPA Fenix’. Height is 76 cm but table will be customised for the customer. The tables can be customised to any size and shape. 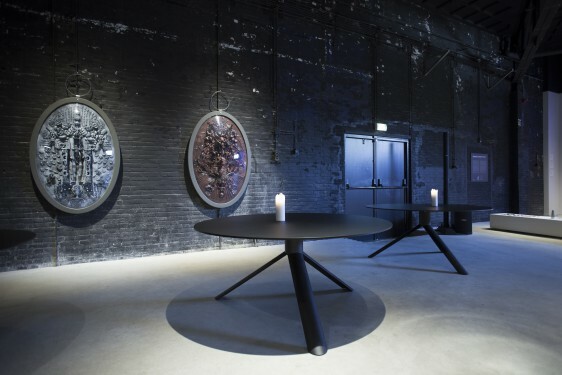 This table is customised for the Kazerne lab inventory project a series of tables was made with a diameter of 160 cm. The table top is made from form ‘ARPA Fenix’.